Hey Coffeeholics! February has been a bit hectic for me because its nearly the end of the school year. Wah. That means a lot of school related/teacher related stuff has been occupying a lot of my time. Wah. Pwede rin mag blog pag may time. hehe. Anyway, its been awhile since I've shared about my pimple woes and struggles. 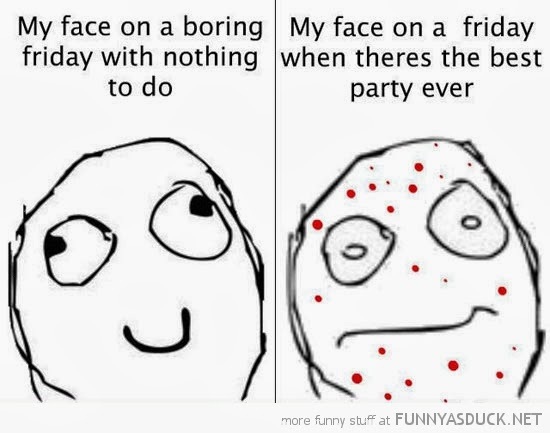 Don't you just hate it when zits seem to multiply just when you are about to go to a major event or party? (Sigh.. anong event? lapit na mag bday hihi!). Yes I thought that finally my pimple woes have disappeared but apparently they came back with a vengeance. I have one right now that's super bothering me. And its on the tip of the top on my lip. So not pretty. Very noticeable. Unavoidable eye sore. (uhhhmmm noooo I won't show you a photo this time. haha. nahihiya na ko. :P) Argh. Frustrating I swear. Well I didn't know what to do but when I found out that Proactiv has Skin Care Advisors ready and available to answer my acne related questions, I immediately got intrigued! Now this is something that Proactiv users and Proactiv-who-want-to-be-users might be interested in, especially if you have pressing concerns or questions about your acne and which Proactiv product is best for you. The Skin Care Advisor program was actually launched last Januaray 2014 and the Skin Care Advisors are technically Proactiv sales representatives who were trained to offer free acne care advice and after-sales support for customers. They went through the same training module created by Doctors Rodan and Fields and are well-informed advisors and knowledgeable to answer questions about Acne and Proactiv. It is their goal to provide customers one-on-one guidance on how to achieve a lifetime of clear skin. Though I have already learned a lot about Acne, asking someone with more know-how is still a wise choice! So I decided to try asking them myself and see if they can help me out. So earlier, I decided to try and call up the Proactiv Skin Care Advisor "hotline" at Glorietta 2. I don't know about you but sometimes I get nervous when I call up and inquire through the phone coz sometimes the other person on the other end of the line is not pleasant and sometimes sound mataray (snooty). Do you have that dilemma too? Well let me reassure you, calling up the Skin Care Advisor is easy and so not intimidating! 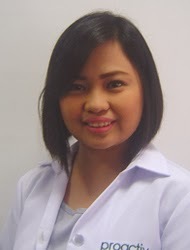 Meet Ms. Gladys Flores - the Proactiv Skin Care Advisor stationed at Glorietta 2. The Skin Care Advisor was very friendly, engaging, and patient. The Skin Care Advisor, Miss Gladys Flores, answered the phone in a bright and pleasing voice. I told her about my dilemma and asked a lot of questions. She was very patient as she answered each question, and all in a friendly tone of voice! The whole time I talked with her, she was very accommodating and it didn't feel intimidating at all. If I'm going to rate her from 1-10 with 10 being the highest, I'd give her a score of 8.5. Let me assure you that you don't need to feel worried that they will snub you when you call. Oh and you can ask in English, Tagolog, or Taglish -- no worries. The Skin Care Advisor was quite knowledgeable. Based on how she responded to my questions, I'd rate her as a 9. Yes she answered all my questions very well! And oh did I ask a lot. After hearing my dilemma, she explained how acne was formed, the causes of acne, and how the Proactiv 3 step treatment can work for me. Of course I also asked what most of you were wondering -- how long before it starts working. And she assured me that you can actually notice the difference during a period of 2-3 weeks. There were a lot of other follow up questions and she was able to answer all and in fact even volunteered other related info that would be helpful to know. One tip she advised me for my annoying pimple was to use the Proactiv Refining Mask and dab a little bit of that on inflamed area and leave it on overnight. I've actually started doing that so its good to know that I'm doing the right thing! The Proactiv Refining Mask is indeed one add-on product that I really like from Proactiv (Click to read more about my blog post of Proactiv Refining Mask). The Skin Care Advisor seems trustworthy. When it comes to skincare, we want to be armed with the best information possible for our skin type. And I feel reassured that the Proactiv Skin Care Advisors know what they are really talking about because they were trained well. This was evident even with just that phone call that I made. Miss Gladys Flores came off as someone who was trustworthy enough to be a source of good information for my skincare concerns. I'd rate her with a 9 as well in this area. All in all, the Skin Care Advisor support through phone was very good! How much more if you get to talk to them in person! I bet they are able to more accurately assess what other Proactiv products would work for you and not only that reassure you that you are making the right decision in your skincare concerns. 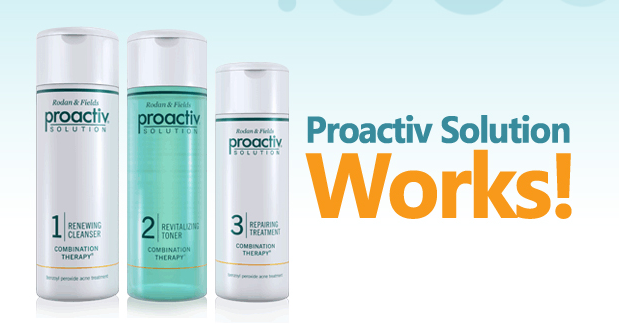 Ask your Proactiv Skin Care Advisors for your Acne Concerns! So Coffeeholics, do you have any acne concerns and want to know more on how to deal with it and also understand how Proactiv can help? Well there are two ways to get in touch with your Skin Care Advisor. First is to see and talk to them yourselves at the Proactiv Kiosks at Greenbelt 2, Trinoma, Marquee Mall, and Watsons. I'm pretty much sure that they are able to answer your concerns. So coffeeholics, do feel free to approach them! But if you are too busy or unable to visit a Proactiv Kiosk, you can always call them up and get in touch with a Proactiv Skin Care Advisor. Here's the number to call: 729-2222. Proactiv Mall Kiosk GF, Glorietta 2 (in front of Bershka) at (02) 388-2848. Proactiv Mall Kiosk 2F, Trinoma (in front of Reebok) at (02) 380-3801. Or you may visit here for more info - http://my.proactiv.com.ph/skin-care-advisors.htm.